After Effects has been sort of a Swiss Army knife for any video post-production effect. After Effects now works faster than ever with the Global Performance Cache and many small tweaks for overall productivity. Here are a few of the better tips that we came across. 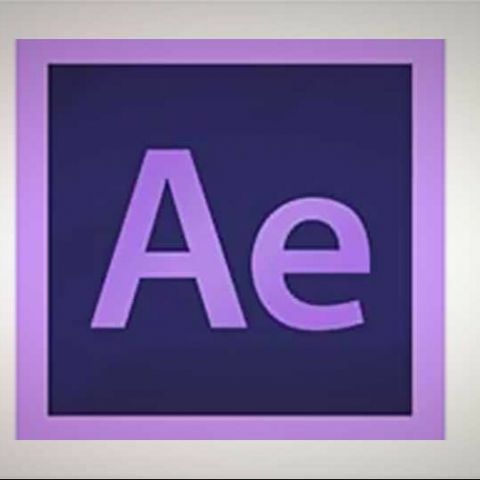 After Effects CS6 simplifies working with files from Avid Media Composer, Symphony and Apple’s Final Cut Pro 7 video editing applications. Adobe has acquired the Pro Import utility from Automatic Duck which allows you to import all your media and clips from the external project at once. The editing timeline becomes a composition in After Effects, all your effects will be translated and recreated. Effects and parameters from the other application like position, scale, rotation, titles and speed changes will be carried forward to your new composition. 3D Camera Tracking is a brilliant new feature that had been introduced this time around, it builds on the previous Warp Stabilizer function. This feature analyzes your footage in the background and tries to track the 3D features to create a solved camera. You can then easily place solids, text, footages and nulls at various points in the 3D space using the previously solved camera, thus realistically compositing them into your scene. To use it select the clip in the Timeline and applied the Camera Tracker from the Tracking Panel. 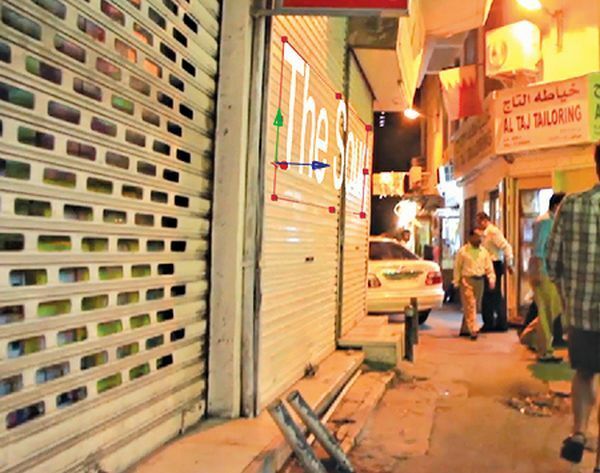 In the first step it analyzes the clip in the background and then it solves the camera. and then spreads multicolor points all over your scene. Mindwell though, this is a very resource intensive process and having a GPU will be a big plus. You will need to select three distinct points in the to position a “target” in that plane, you can increase or decrease it’s size by alt-dragging and move it around by ctrl-clicking. Simply hovering the mouse over a triangulation of points will position a “target” in the plane that passes through those three points planes. You can select more than three points by click-dragging around several points which seem to be on the same plane as the one you are tracking. You can then add text or solid on the plane you selected by right-clicking on the target and select the desired option from the context menu. 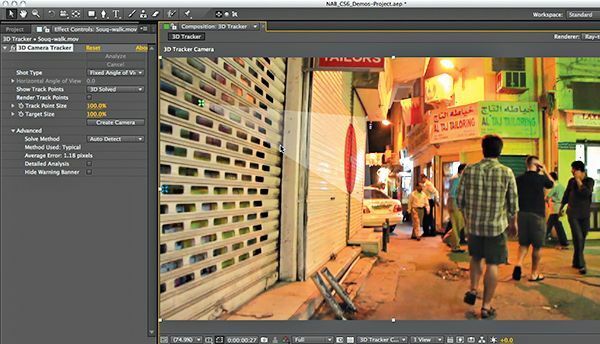 With CS6 your video production workflow has been made much more streamlined than before. In the yester years sharing media assets among post-production applications has required you to render and export your work from one application before importing it into another. This was very inefficient and time-consuming. If you want to change the original asset you’d have to redo the entire cycle of rendering and importing again, not to mention the extra disk space this multiple renderings would occupy on the hard-disk. You can create an After Effects composition and dynamically link to them, from Adobe Premiere Pro or Encore or you could replace the clips in Premiere Pro with a dynamically linked After Effects compositions. To do so select the clip you want to replace in the sequence, right-click on the link, select “Replace with After Effects Composition” from the context menu, select a dynamically linked composition from the file dialog that pops up. A caveat here is After Effects takes time to apply the actions and make the final data available to Premiere Pro or Encore. Sometimes this additional processing time delays preview or playback. The best part about After Effects is that it is extensible, you can modify the behaviour with a lots of plugins and scripts that are available online. Adobe itself provides a package which has a collection of hosts of scripts for editing keyboard shortcuts (KeyEd Up), converting Adobe Swatch Exchange (.ase) files (Swatch You Want, kuler Shapes), doubling and arranging the layers in a composition for comparison purposes (Double-Up), launching scripts (Launch Pad), creating project folder hierarchies (Folder Setup), modifying a composition’s motion blur settings interactively (Active Shutter), , setting up layers in After Effects for Encore menus (Encore Tools), separating shapes in a shape layer (Explode Shape Layer), and adjusting the alternate RAM preview setting interactively (Purview). How do I learn Hacking? Any software to produce effects other than realtek ?